THE world’s smallest chef is not Ratatouille‘s Remy, but he is of comparable stature. Le Petit Chef is a passionate, thumb-sized Frenchman who goes out of his way to create a dish perfect for the table, whether it be battling it out with a lobster or heaving a massive scoop of ice cream onto your plate. Since his appearance on thee scene in 2010, Le Petit Chef has become a viral sensation and travelled to restaurants around the world, from London to Dubai. He’s about to add Singapore to the list of cities he’s been ‘cooking’ in so far. Obviously, Le Petit Chef isn’t not real. He’s is an animated character that has been brought to life by 3D projection technology. 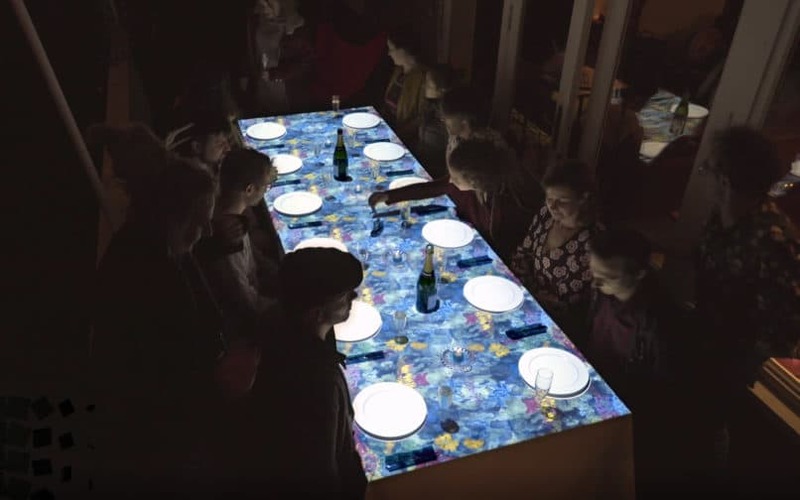 With the help of overhead projectors, the dining table transforms into an immersive theatre where the tablecloth, plates and utensils become backdrops and props for the story’s hero to show off his culinary prowess. Le Petit Chef is 58mm tall, and has a huge appetite for adventure when creating his dishes. From 28 Jan to 24 Feb 2019, The Fullerton Bay Hotel Singapore will be hosting the experience at French restaurant La Brasserie. Each dinner session, held in the restaurant’s private dining room, hosts a minimum of five diners. At S$188++, each person enjoys a four-course dinner which is prepared behind the scenes by the chefs at La Brasserie. For starters, there’s poached Maine lobster with caviar and truffle aioli and later, a rich bouillabaisse with bread. It’s followed by 200-days grain-fed Angus tenderloin and dessert of coconut rice pudding. As the real chefs get down to work, diners get to see Le Petit Chef in action. 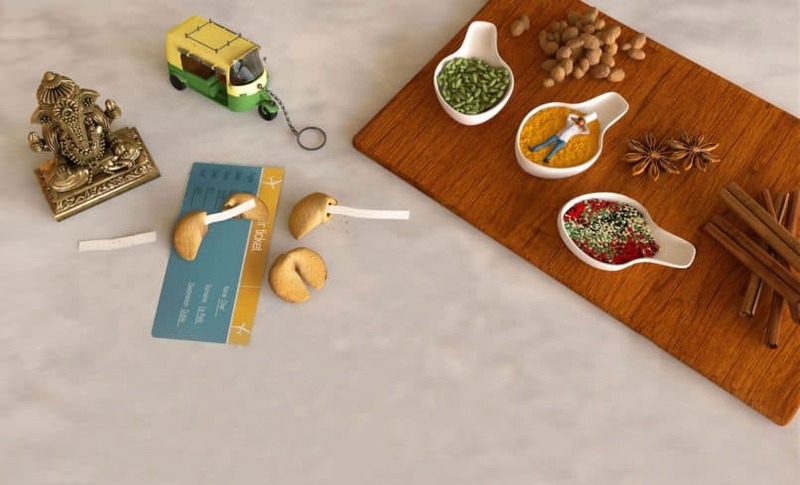 A video accompanies each dish, showing the small figure firing up ingredients to humorous results. There’s rich detail in every scenario. The mood, music and props change with each chapter (or, course). Only at the end of each visual presentation does the waiter present the edible version of the finished dish. Despite the size of the virtual performance, its execution is certainly no small feat. Similar projections have been used before, most notably for the Singapore Arts Museum which had its facade taking on different ‘skins’ with light shows (think, the building covered in vines, or interpreted as a haunted house). But that’s on a fixed building that’s not going to move. 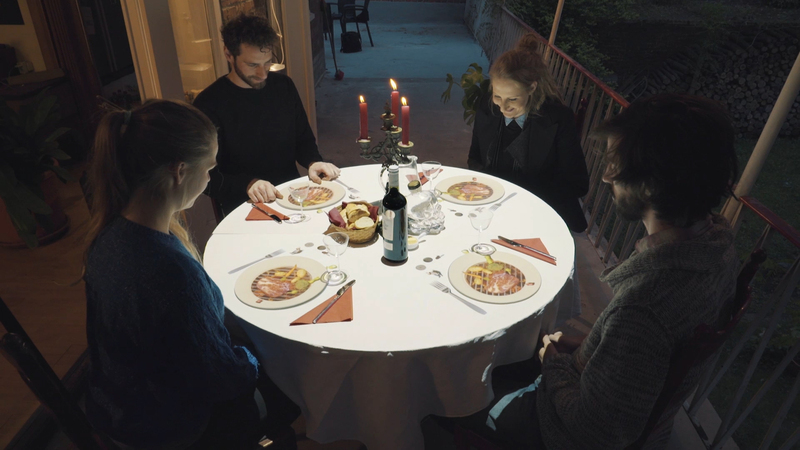 On a small table, the placement of plates and utensils has to be precise. A discrepancy of a millimeter would risk the video running askew, potentially losing the focus of the dining audience. The experience, which has been making rounds on social media, hasn’t disappointed diners. While cameras are recommended during dinner, you might just want to sit back and enjoy the show. Le Petit Chef will be cooking in La Brasserie from 28 January to 24 February 2019. Reservations are required.